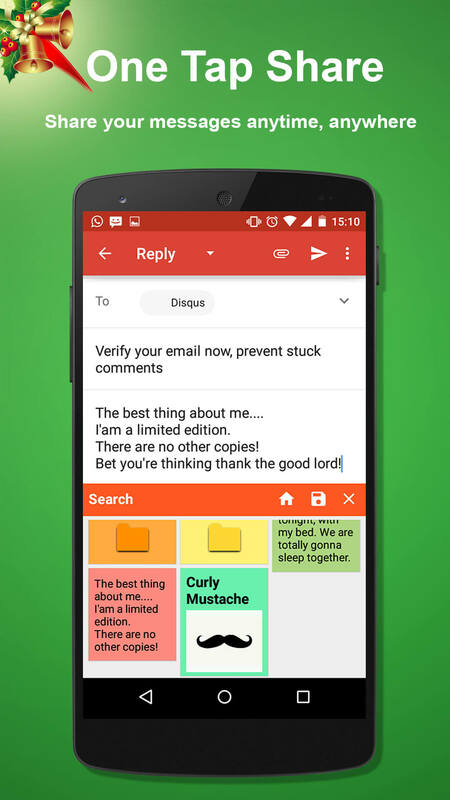 Clippy saves your precious time and data by instantly saving and sharing of messages, images inside any app without leaving the app A must have APP for people who Loves Reading/ Sharing Blogs, Articles, E-books, Quotes, Messages. 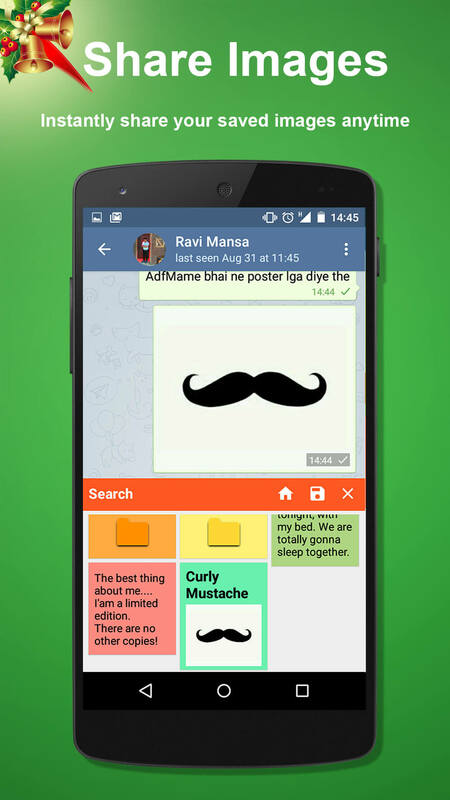 Works with all browsers (Chrome, Firefox), messaging apps (Whatsapp, Facebook) and many more applications . Easy copy, save and share Text, Images, Contacts. Password protect the personal data. If we like something then it should be with us forever. 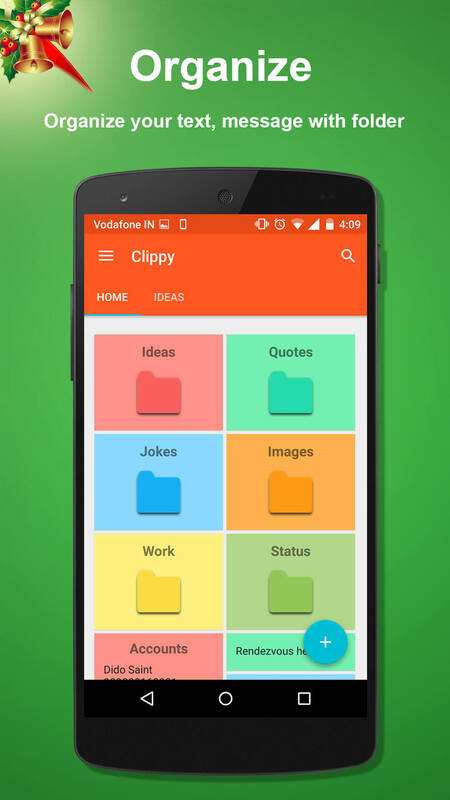 Install clippy to do this in easy and right way. 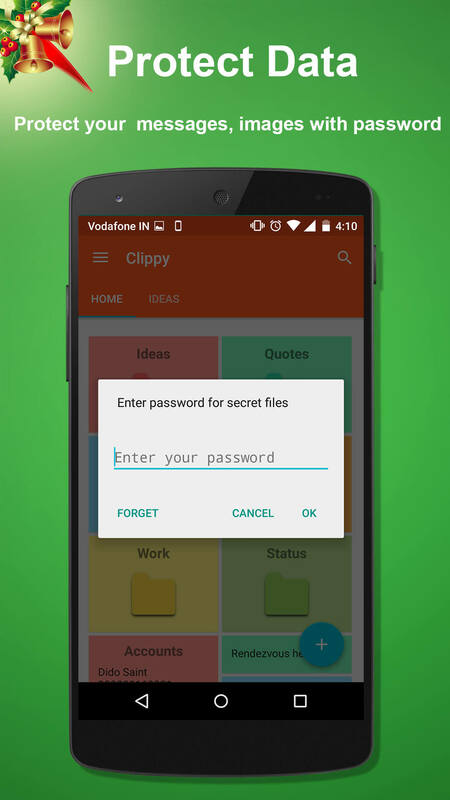 Tired of Loosing things - Instantly save, share and secure with Clippy. Feature: â˜… Intelligent Clippy Sticker for copy/paste window. â˜… Saving and sharing without going to app. â˜… Hide and protect your personal message, images. 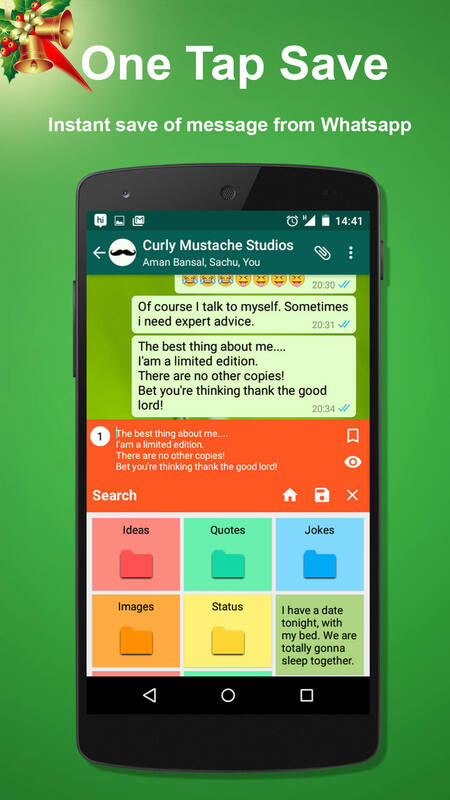 â˜… Organize your message with folders â˜… No Ads â˜… Bookmark your favorite ones. â˜… Material app design concept with colorful theme. Why use Clippy? The time taken in sharing and saving has been reduced upto 69%. You don't need to switch between applications. Just concentrate on finding good stuff and use Clippy and in no time you will a have good archive of articles, messages, jokes, quotes and many more. It is the most innovative saver available in the market. Contact: Please write to curlymustachestudios@gmail.com for any kind of feedback. We encourage you to request new features and report bugs. We will try to incorporate the feature requests and bug fixes in upcoming updates.